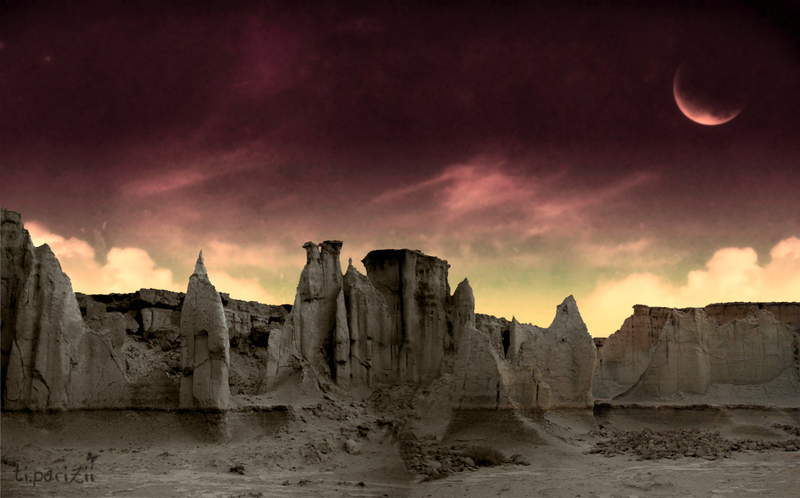 The Stars Valley located in Qeshm Island south of Iran. It is a marvelous and beautiful landscape. The Stars Valley is known for this silence. 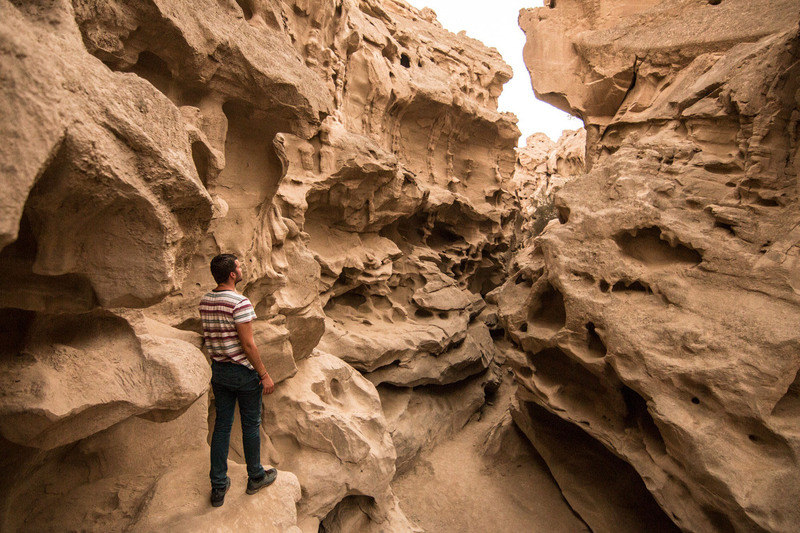 One of the most spectacular natural sites on Qeshm Island, the Valley of Stars features a series of majestic gorges and canyons that were formed over centuries by erosion. Wandering amid the valley is a magical experience – it’s like stepping into a Dalí painting. 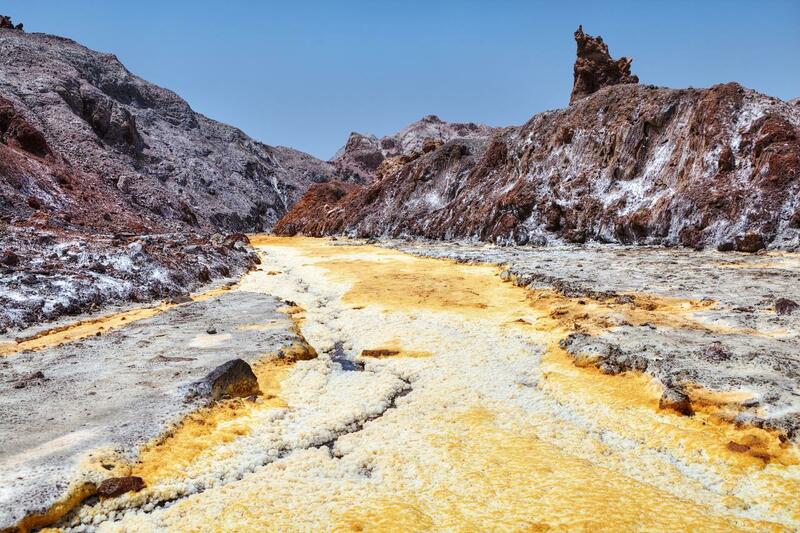 This valley is located 20 km from the city of Qeshm and is considered as unique geological phenomenon of Iran and the world as well. You will be immersed in the Stars Valley, and get acquainted with the mysterious and wonderful world of the valley. 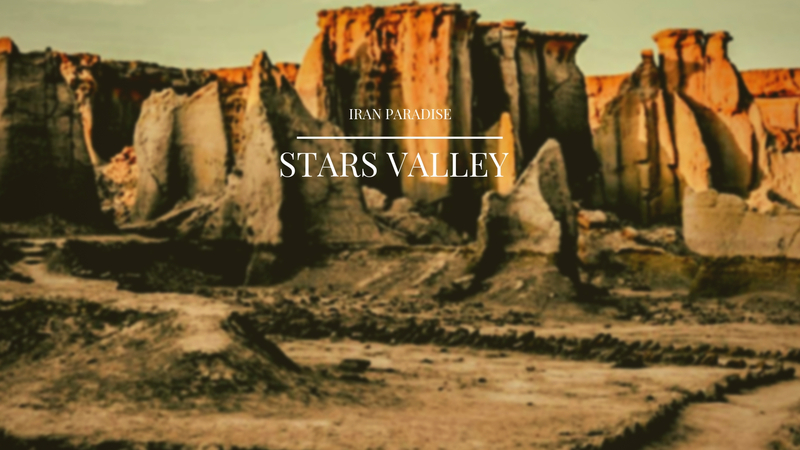 The Star Valley is located in the village of Khalaf in Qeshm Island, dating back to 2 million years ago(the Cenozoic period), and its beautiful statues have been created due to the erosion of sand, earth and stone. In this valley, you can enjoy a variety of activities such as walking and photography and you will see numerous statues in the form of an elephant, a crocodile, an eagle, and so on. You can also see this different canyon from above the roof of the Stars Valley and discover more statues with incredibly beautiful shapes. Each of the sights of the Stars Valley is a good excuse to take the camera and hunt the dreamy and glorious moments of the island and record beautiful images in the treasure of your memories. Next to the Stars Valley in Qeshm, there is a small stone museum in which the fossils of Qeshm Island, minerals and gems belonging to other parts of Iran and the world are displayed, so visiting this museum also delights your trip. After seeing the Stars Valley, you can buy souvenirs from the handicrafts made by the artists of the island with shellfish, and give a memorable gift to your relatives and friends from your journey. To visit other landscapes of Qeshm such as Khorbas Cave, Hara Forests, Hengam Island, Strait of Chahkuh and Marjan Bazaar come with us on Alaedin Travel Tour, our Guides will provide the best for you and your companions on a trip to Qeshm. The Star Valley is a unique example among all Geosites to study erosion. The local name for this area is “Estalah-kaftah” which means “the Fallen Star”. The reason for naming this area as such is that the locals believe that once upon a time a star (commit) (meteor) has hit the earth at this site and as a result of this collision, the stones and soil have been thrown in the air and been frozen, forming these geological structures. There are also local beliefs regarding the presence of Ghosts and “Jinns” in this Valley during the dark which may be due to the unusual geological forms and wind blowing into the Valley at night. The geological morphology of this site is the result of erosion by rainstorms, wind and gravity on various layers. In areas where the geological structures are more resistant to erosion, they have remained intact, however in areas with softer geological structures, erosion has altogether degraded and vanished those parts. In the walls of this Valley, one can observe two different types of layers: A thick and soft layer of light color (beige or light grey) underneath a thinner layer of harder nature, in white or dark grey. The bottom layer due to its soft structure usually gets eroded while the layer above because of having some kind of natural cement (limestone), is more resistant to erosion, protecting the whole structure. In areas where the upper layer is eroded, smaller canyon-like structures have been formed. In some areas within this Valley, geological structure in form of “Pillars” columns may be observed,some of which are needle-shaped. One of the factors which have caused these structures is rainstorm water that is in general seasonal, washing away in circles the soft parts of the geological structure, leaving the harder parts intact as pillars columns or needle shapes. The remnant of hard structures sometimes are “Hat-like” cap rock which almost protects the pillar column from further erosion, while the rest of the structure has been already eroded and disappeared. Various layers in this Valley are thus very vulnerable and fragile, some of them may not even tolerate the weight of a human being. Thus stepping on geological structures could be very dangerous as they might fall apart. Despite a harmonious strong appearance, some areas are critically soft and vulnerable as the bottom layers have already been emptied by erosion. Please note that although by stepping on these structures they do not fall apart right away, the upper layers may get thinner and more fragile by trembling and as a result of narrow cracks these geological structures may get degraded more easily in the future. Thus, avoiding to walk on top of the structures overlooking the Valley may help in protecting this geological heritage for future generations to observe.